Boyds, Md. 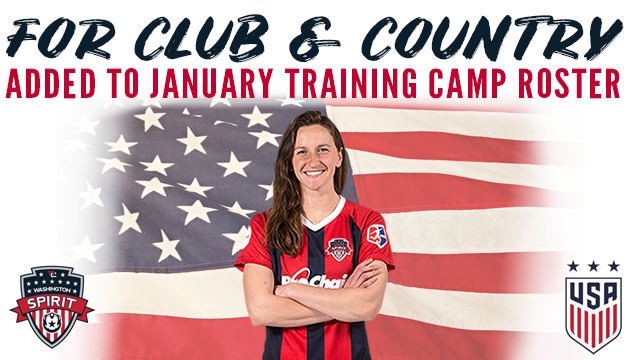 (January 7, 2019) – U.S. Women’s National Team head coach Jill Ellis has added midfielder Andi Sullivan to the roster for January training camp. The addition of Sullivan ups the total number of players on the roster that begins training today in Portugal to 27. The USA is holding its start of the year training period in Europe for the first time and then will play the first two matches of the year, against France on Jan. 19 (2:30 p.m. ET on FS1) and against Spain on Jan. 22 (2:30 p.m. ET on ESPN2 & UDN). Sullivan, who has 11 caps, was with the USA for its November trip to Europe, starting and playing the first half of the USA’s 1-0 win against Portugal on Nov. 8. The Washington Spirit midfielder, who was the 2017 MAC Hermann Trophy winner for Stanford, was the top pick in the 2018 NWSL Draft. She joins fellow Spirit teammates Mallory Pugh and Rose Lavelle on the USA roster for their first event of 2019.